We are a reliable manufacturer, exporter and trader of Stainless Steel Ladders. These are fabricated using high quality steel. 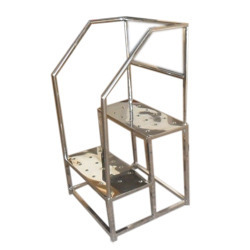 Our range of stainless steel ladders includes Ladder Stools, Stainless Steel Step Ladder and Reactor Bottom Valve Ladder from India. Owing to our wide and rich industrial experience, we are able to offer our clients the best Reactor Bottom Valve Ladder. 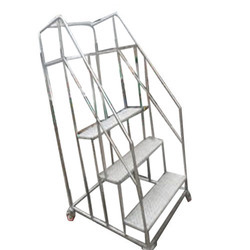 These presented ladders are manufactured using high grade stainless steel, alloy and other required raw material. Ergonomically designed to facilitate easy and safe climb, these ladders are suitable for scientific laboratories and hospitals. Looking for Stainless Steel Ladders ?